Does Losing One Sense Improve the Others? Have you ever heard of the Netflix series Daredevil? Or perhaps you remember reading about that legendary comic book hero when you were a child? Well, the premise of Daredevil’s remarkable story is quite simple; Matt Murdoch was blinded as a young boy in a chemical accident, and has learned to survive in the brutal world of Hell’s Kitchen without that vital sense. The superhero side of his story comes from his incredible abilities with his other senses, including hearing, smell, and touch. To fight crime in the underbelly of that corrupt city, he uses something akin to echolocation, diving off buildings, reading wind currents, listening to voices from blocks away, and identifying people by smell. As awe-inspiring as Daredevil’s life happens to be in the movies, does that sort of advanced ability have any basis in real life? In other words, if you lose one of your senses, do the other ones get better to compensate? The Five Senses… What Are They? Well, we all know what the five senses that we humans possess – sight, smell, taste, touch, and hearing – but where do these miraculous powers come from? Well, that will require a bit of digging – into our brains! The human brain is traditionally divided into six main areas: the frontal, parietal, occipital, temporal, limbic lobes, and the insular cortex. 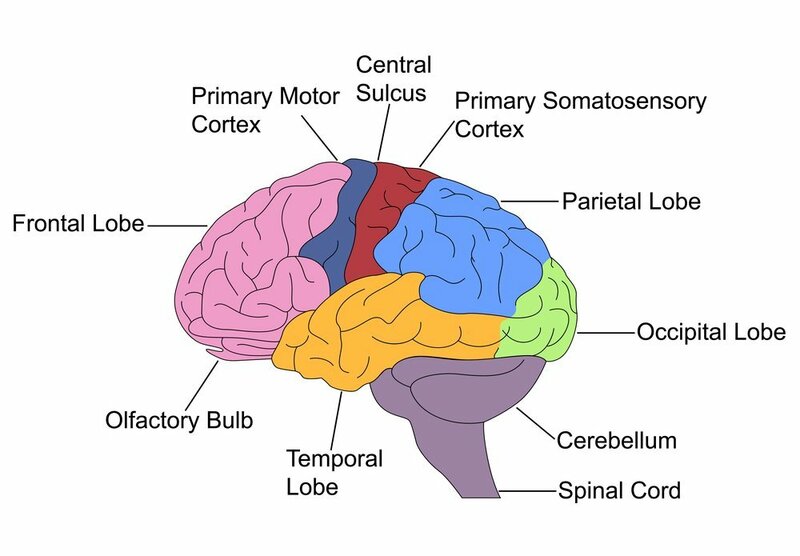 Our senses of smell and sound are controlled by the temporal lobe, while sight is handled by the occipital lobe. Taste is closely related to smell, and are also affected by the olfactory nerves, while touch is generally detected and processed by the parietal lobe. Other sections of the brain also impact our senses, such as processing visual cues (temporal lobe) and registering pain from touch (insular cortex). Now, the most common senses that are “lost” are sight and sound, and these are more specifically controlled by the visual and auditory cortex, respectively. It is possible to lose the senses of taste, smell, and touch, but these are much less common. When we are born, it is important to understand that our brain is still developing, and most of the processing powers are combined. It is only as we grow up that the individual senses begin to be controlled by independent sensory sectors. The beautiful thing about the brain is its plasticity, and studies have shown that the brains of blind infants don’t separate into those individual sections, allowing the visual and auditory cortexes to “team up” and heighten the sensitivity of hearing. The human brain is essentially a computer, so we can easily talk about it in terms of processing power. If you lose your sense of sight, for example, the brain will rely on other information sources to make sense of the world around you. Without the visual cortex functioning (blindness), a 2005 study argued that it will actually decrease in size, while other areas of the brain (auditory cortex and areas handling memories and smell) will actually be larger! If you think that our brain doesn’t change and evolve as we move through life – you’re wrong! Your brain is highly adept at rewiring itself if it thinks it can function more efficiently. If you lose a sense do the others get stronger? Since you no longer need to use that part of the brain to process images, more energy and processing power is shifted to the senses of hearing and touch, which will improve your ability to move through the world. For example, blind individuals often use a technique called “clicking”, in which they make small clicking sounds and then interpret the echo they hear to determine the environment around them. 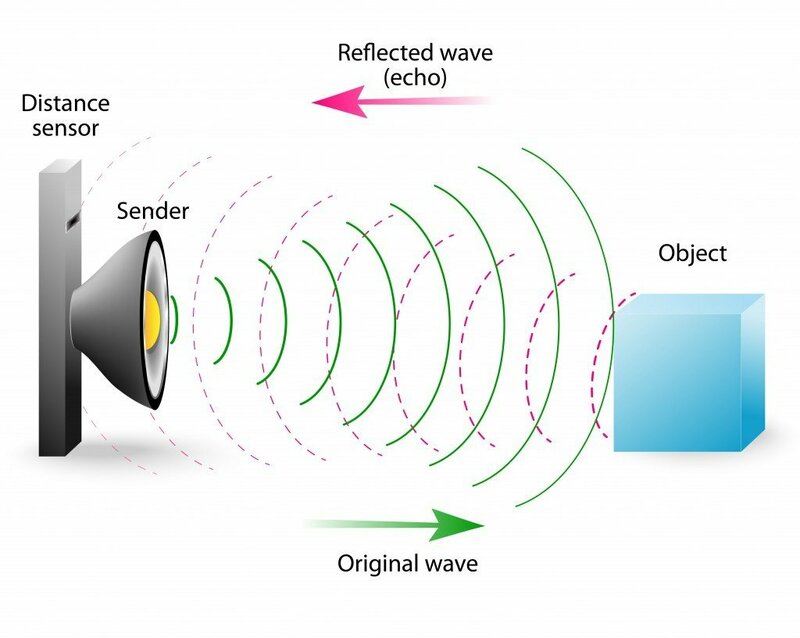 This echolocation technique can even allow people to determine specific objects and walk normally without bumping into walls or obstacles. The heightened sense of hearing allows the brain to differentiate the echoes that return after these clicks, a feat that seems impossible to those of us who typically rely on vision. More impressively, brain scans of blind individuals “clicking” reveals that the sounds are not only processed by the auditory cortex, but also in the occipital lobe (visual cortex), despite not being able to “see”. Research has shown that a similar thing happens for those who are deaf, although it was found that these individuals’ brains use the auditory cortex to process touch and visual stimuli. Even though the individual can no longer hear, the auditory part of the brain is still useful as a “computer” component, so it contributes its processing power to the other senses, heightening them in a measurable way! Smell, Taste and Touch Powers? Taste and smell are largely controlled by the olfactory nerves, which makes them slightly unusual for our senses. Also, olfactory nerves are the only known parts of the nervous system to regrow after being damaged, so there isn’t as much of a brain-shifting effort if those senses are damaged somehow. Essentially, the body and brain will attempt to fix these senses, rather than compensate for them in another way or in another cortex. Touch is the final sense, and one that is very difficult to “lose”. However, in terms of improving the sense of touch, blind individuals have reported that their sense of touch improved (particularly in terms of environmental stimuli), so they were able to avoid walls and windows based on the different temperature changes in those areas. What About That Sixth Sense? Or a Seventh? 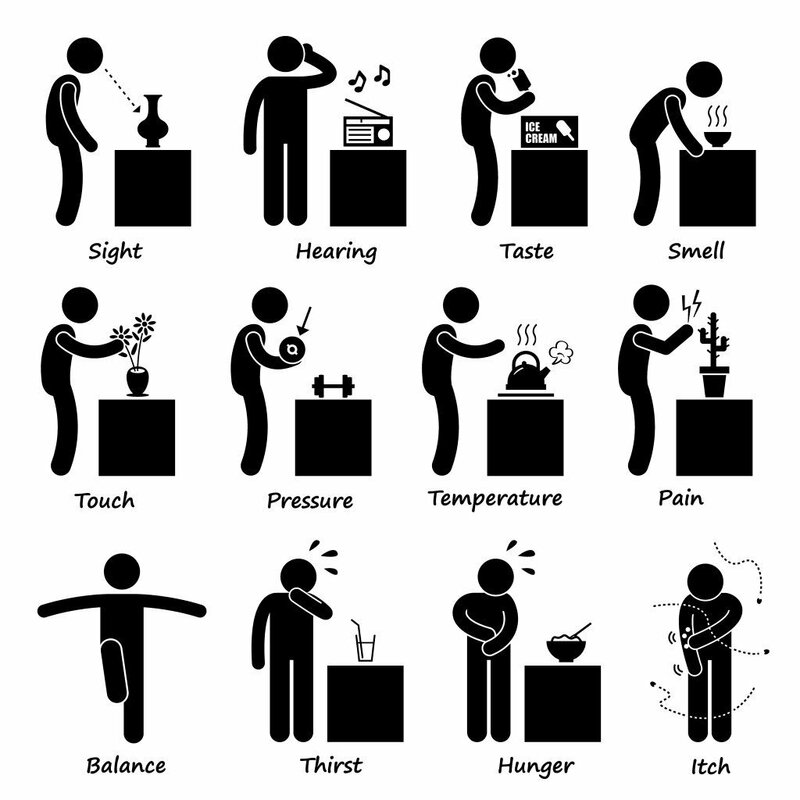 Some people argue that humans aren’t limited to the traditional five senses, and can harness abilities like magnetoception (detection of magnetic fields), as well as more normal skills that we take for granted (the ability to stay balanced and upright, detecting the passage of time, unconscious awareness of where our body parts are, and some of those images shown below). Although these are less commonly researched subjects in relation to the brain, it has been shown that these abilities are also heightened when we lose one of our “Big 5” Senses. In other words, when you watch Daredevil flipping through the streets of Hell’s Kitchen, perhaps it isn’t so impossible! Although blind people leaping across rooftops, balancing on narrow railings and sniffing out bad guys from around the corner might be a bit of a stretch, solid research has shown that it is far from impossible. The brain is a miraculous and mysterious machine, and we are still learning more about it every day.